dankcalculatorbro, would you mind if I joined your team? I unfortunately couldn't do Saturday but I can probably do Sunday. Please pm me in-game if that is fine. I don't think he'd mind. Would love to have another player on the team! Yes, that would be fine. I messaged you on the mc server with these same details, but: We plan on starting at 1:30 pm eastern, make sure you are on by 1:15 when we will get your skype and start a group call. Hope more teams get signed up and ready to take this on! I just completed the event and WOW it was fun. It was difficult to stay alive and the puzzles required some thought, but the loot was more than worth it. I would rate this event a 10/10 and would love to see more events like it in the future. Thank you very much Cemetech staff and Tifreak for putting this event together. Well, let me start off by saying that this was incredibly fun and I highly recommend others to try it while they still can! I just completed it with o2b_blockbusting, though we lost our other 2 members before we even got to the basement (burning_pocket and Lord_Charlemagne). In total it took us a little over 2 hours to complete. Most of the puzzles took a while and I got confused quite a bit along the way, but the combat and everything else wasn't so bad. If you don't have the right gear and food and potions you're definitely not going to survive, but with what I brought, I did very well. Since we only had 2 people left before we got into the basement, we kind of had to use a few creative tricks to get through the rest of the game, but we made it work Pretty nice loot at the end. Thank you tifreak for putting this all together! How do you start the game and where do I get my team? Well first things first, you need to gather your own team. Preferably members on the server or members here on cemetech, just ask them to join you. It is recommended that you use a voice call software like skype or discord to talk to each other. Also, make sure you have 3-5 people. You are going to want more than 3 in case one of you dies. When your team is geared up and ready, just ask tifreak to teleport you in. Notify him ahead of time when you're planning on doing the event. The event was really fun and I want to congratulate our team, especially o2b and Michael for making it to the end. The loot was insane and I know o2b brought back some great stuff that wasn't even the final loot, so you can still make out well even if you are not able to finish. Thank you tifreak for putting it together and I hope everyone else can get a chance to run the mansion. tifreak did a nice job with the mansion. It really had a good mix of different features, and a successful team needs to balance puzzle-solving, battle, and agility skills. We even came up with an unlikely alternative solution to one problem, and much hilarity did ensue. My advice to other players is don't panic in battle, keep an open mind in puzzles, and if you don't have totems, notch apples work just as well if not better. I think it would be neat to have a more Hermitcraft-level puzzle in the future. The only real bug I think is unintended creeper explosions. In the future, you might want to use a command block or something to protect some areas. I have to agree on the creeper explosions part. While the creepers themselves were not a threat, one in the wrong place could have made running the event a quite interesting ordeal, if not impossible (though, with the mods/admins watching in Gamemode 3, I would hope that it would be rectified if it did happen). All in all, the puzzles were challenging, but fun to do. If I offer one piece of advise, it is that some of the puzzles have multiple ways around them. It can help to take a step back and assess the situation and make a plan. While proper planning of gear before hand will definitely help with success, going overboard means choosing what to leave behind when the treasures start to come in. If anything, I recommend that all players hold on to specific pieces of loot (some of the items you acquire are stack-able) to free up the inventories of your team. Smart players shouldn't need to resort to a lifesaving item as long as they plan out their run and work as a team. However, don't leave them at home either. One players experience does not mean that things can't change for you (and knowing the way tifreak set up a few things, I wouldn't be surprised to see a tweak or two based on previous runs). Also, the loot for completion, well worth the effort and time. Details will be posted once the event is fully concluded. So the Halloween world is still up and ready for people to tackle. I know Acag is looking for people to join him in taking it down, just need to get some players together that haven't yet battled the event. Any takers? My computer is finally working again, after about three weeks of issues. I'm glad that I'm not too late to participate in the event. Acag, Hedge, and I finally finished the event (in January of the next year). Overall, I really enjoyed the mansion raid, although a few parts were a bit grindy. I'm also really happy to get this loot, even if I'm too afraid to actually use it. I'll post a link to a video here some time tomorrow evening once Acag edits his own footage. 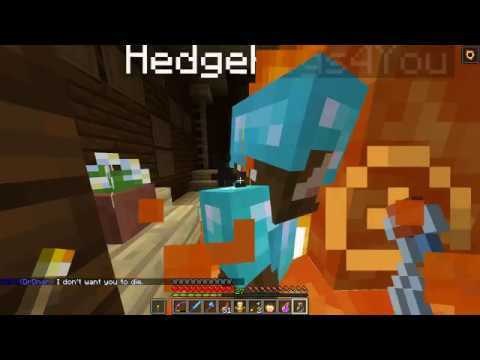 Here's the footage of Hedge, ACag, and I completing the mansion raid. Cashew also shows up in the voice call for some reason. Sorry if my voice is really quiet, I'm still working out audio settings for OBS. Here's the mansion run from my perspective, complete with a brand new intro for myself. © Copyright 2000-2019 Cemetech & Christopher Mitchell :: Page Execution Time: 0.178427 seconds.